[S12] Letter, Betty Jane Bagwell to David A. Bagwell, 1994. 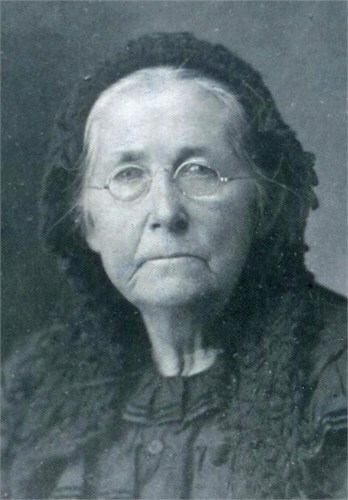 Lavinia Bagwell was born in 1824 in South Carolina.1 She was the daughter of Jesse Bagwell and Mary "Polly" Raybourn.1 As of 9 October 1851,her married name was Davis. Lavinia Bagwell married Benjamin W. M. Davis on 9 October 1851 at Forsyth County, Georgia. Lavinia Bagwell died on 18 September 1882 in Franklin, Georgia. She was buried at Laurel Grove Cemetery South, Savannah, Chatham County, Georgia. [S409] United States Federal Census, Washington, District of Columbia, Population Schedule: District 31, Forsyth, Georgia; Page: 413, Dwelling: 869, Family Number: 869, Date: 1850. [S410] United States Federal Census, Washington, District of Columbia, Population Schedule: Forsyth, Georgia; Page: 451, Dwelling: 589, Family Number: 589, Date: 1860. Caroline S. Bagwell was born in 1835 in North Carolina.1 She was the daughter of Jesse Bagwell and Mary "Polly" Raybourn.1 Caroline S. Bagwell married James Wright Lee before 1859.2 Caroline S. Bagwell died on 12 April 1881 in Spartanburg, South Carolina. [S1518] United States Federal Census, Washington, District of Columbia, Population Schedule: Milton, Georgia; Page: 487B, Dwelling: 785, Family Number: 712, Date: 1870. [S1519] United States Federal Census, Washington, District of Columbia, Population Schedule: Big Creek, Forsyth, Georgia; Enumeration District: 76; Supervisor District: 1; Page: 16, Dwelling: 150, Family Number: 157, Date: 1880. Nathan Bagwell was born in 1817 in Edgefield County, South Carolina. He was the son of Jesse Bagwell and Mary "Polly" Raybourn. Nathan Bagwell married Amanda F. (?) before 1844. William D. Bagwell was born in 1821 in Greenville County, South Carolina.1,2 He was the son of Jesse Bagwell and Mary "Polly" Raybourn. William D. Bagwell married Temperance Stone.4,3 William D. was blacksmith in 1850 at Forsyth County, Georgia.1 He lived in 1870 in Franklin County, Alabama.3 William D. was a farmer in 1880 at Franklin County, Alabama.4 He lived in 1880 in Franklin County, Alabama.2 He died circa 1906 in Franklin County, Alabama. [S411] United States Federal Census, Washington, District of Columbia, Population Schedule: District 31, Forsyth, Georgia; Page: 412, Dwelling: 859, Family Number: 859, Date: 1850. [S412] United States Federal Census, Washington, District of Columbia, Population Schedule: Franklin, Alabama; Enumeration District: 89; Supervisor District: 1; Page: 22, Dwelling: 172, Family Number: 172, Date: 1880. [S414] United States Federal Census, Washington, District of Columbia, Population Schedule: Township 7 Range 12, Franklin, Alabama; Page: 12, Dwelling: 77, Family Number: 77, Date: 1870. [S412] United States Federal Census, Washington, District of Columbia, Population Schedule: Franklin, Alabama; Enumeration District: 89; Supervisor District: 1; Page: 22, Dwelling: 172, Family Number: 172, Date: 1880, Establishes Temperance as William D. Bagwell's wife. [S291] United States Federal Census, Washington, District of Columbia, Population Schedule: Big Creek, Forsyth County, Georgia, Emuneration District: 74, Supervisor District: 1, Sheet: 31, Dwelling: 292, Family Number: 303, Date: 1880. [S489] United States Federal Census, Washington, District of Columbia, Population Schedule: Big Creek, Forsyth, Georgia, Emuneration District: 30, Supervisor District: 9, Sheet: 12A, Dwelling: 231, Family Number: 232, Date: 1900. [S490] United States Federal Census, Washington, District of Columbia, Population Schedule: Randolph, Jackson, Georgia, Emuneration District: 116, Supervisor District: 9, Sheet: 5B, Dwelling: 86, Family Number: 89, Date: 1920. [S1022] Email from Runette Bagwell dated October 2009 to Hunter Wayne Bagwell - Subject Line: Bagwellls. [S1985] United States Federal Census, Washington, District of Columbia, Population Schedule: Big Creek, Forsyth, Georgia; Page: 25/185, Dwelling: 215/1496, Family Number: 187/1354, Date: 1870. [S1995] United States Federal Census, Washington, District of Columbia, Population Schedule: Randolph, Jackson County, Georgia;; Emuneration District: 116, Supervisor District: 9, Sheet: 5B, Dwelling: 85, Family Number: 88, Date: 1920. [S100] 1900 United States Federal Census, Washington, District of Columbia, Population Schedule: Big Creek, Forsyth County, Georgia; Page: 6A; Enumeration District: 30. [S101] United States Federal Census, Washington, District of Columbia, Population Schedule: Big Creek, Forsyth, Georgia, Emuneration District: 45-36, Supervisor District: 9, Sheet: 8B, Dwelling: 88, Family Number: 89, Date: 1910. [S102] 1880 United States Federal Census, Washington, District of Columbia, Population Schedule: Big Creek, Forsyth, Georgia; Page: 410.3000; Enumeration District: 76; Image: 0101., Date: June 10, 1880. [S1986] William B Bagwell Grave Stone, Find a Grave, www.findagrave.com. [S247] United States Federal Census, Washington, District of Columbia, Population Schedule: Forsyth County, Georgia, Sheet: 84, Dwelling: 592, Family Number: 592, Date: 1860. William Cox Jr. was born on 7 February 1807 in Stewart County, Georgia.1 He was the son of Edward Cox and Nancy Bryant Cox. William Cox Jr. married Milly Dowling, daughter of Dempsey Dowling and Martha Stokes, in 1826 at Georgia.2 William Cox Jr. lived in 1850 in Dale County, Alabama.1 He died on 18 November 1863 in Near Alexandria, Rapides Parish, Louisiana, at age 56. [S450] United States Federal Census, Washington, District of Columbia, Population Schedule: Southern Division, Dale, Alabama; Page: 433, Dwelling: 702, Family Number: 702, Date: 1850. [S448] W.L. Andrews, "Early History of Southeast Alabama." [S195] Marriage: Sutton Freizell and Margaret Carney. [S932] Census of Canada, unknown repository address, Population Schedule: Woodstock, Oxford North, Ontario; Page: 9, Dwelling: 95, Family Number: 101, Date: 1911. [S194] Sutton Frizell, Ontario, Canada Deaths, 1869-1934: Sutton Frizell. [S191] Thomas Augustus Frizelle, Registrations of Births and Stillbirths Roll Number: MS929_39 (12 April 1879). [S193] Marriage: Thomas Frezell and Rose Clark. Sidenote: During the American Civil War (1861-1865), Berkeley and Jefferson counties, both lying on the Potomac River east of the mountains, and with the consent of the Reorganized Government of Virginia, voted in favor of annexation to West Virginia in 1863. Virginia tried to nullify this decision after the American Civil War, but the counties remained part of West Virginia. The question of the constitutionality of the formation of the new state was brought before the Supreme Court of the United States in the following manner: Berkeley County and Jefferson County, counties lying on the Potomac River east of the mountains, in 1863, with the consent of the Reorganized Government of Virginia, voted in favor of annexation to West Virginia. Many voters absent in the Confederate Army when the vote was taken refused to acknowledge the transfer upon their return. The Virginia General Assembly repealed the Act of Secession and in 1866 brought suit against West Virginia asking the court to declare the counties a part of Virginia. Meanwhile, Congress, on March 10, 1866, passed a joint resolution recognizing the transfer. The Supreme Court, in 1871, decided in favor of West Virginia. [S171] United States Federal Census, Washington, District of Columbia, Population Schedule: Kingwood, Preston, West Virginia, Enumeration District: 63, Supervisor District: 1, Sheet: 36, Dwelling: 259, Family Number: 262, Date: 1880. [S170] United States Federal Census, Washington, District of Columbia, Population Schedule: Martinsburg, Berkeley County, West Virginia, Enumeration District: 19, Supervisor District: 2nd (Unreadable), Sheet: 4A, Dwelling: 71, Family Number: 76, Date: 1910. [S189] United States Federal Census, Washington, District of Columbia, Population Schedule: Philippi, Barbour, West Virginia, Enumeration District: 5, Supervisor District: 2, Sheet: 7A, Dwelling: 132, Family Number: 132, Date: 1900. [S164] Pauline Virginia Allen, Death Certifiicate: Pauline Virgina Allen. [S165] Isabel E. Heilman, Death Certificate: Isabel E. Heilman. [S4] Frankie Mignon Manown, Florida Certificate of Death. [S176] James Manown Jr., Certificate of Death: James Manown, Jr., Provided the date of birth, state of birth, names of father and mother. 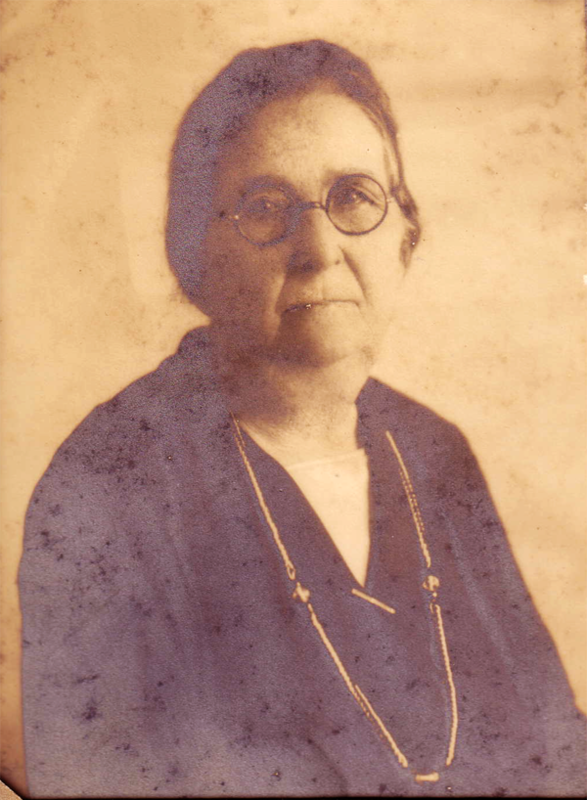 Myrtle S. (Mirtie Belle) Rector was born on 12 March 1870 in Harrison County, West Virginia.3,4 She was the daughter of William A. Rector and Elizabeth Ann Brown. 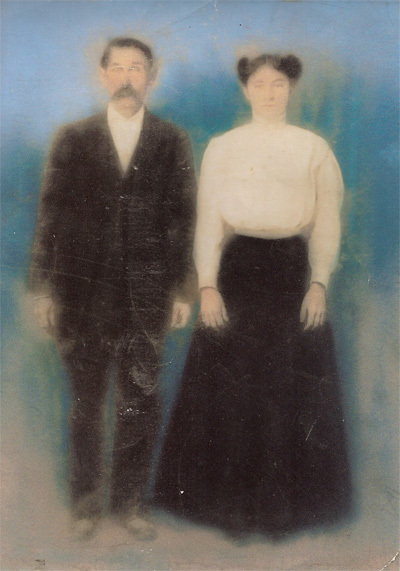 As of 1898,her married name was Manown.3 Myrtle S. (Mirtie Belle) Rector married James Franklin Manown, son of James Harvey Manown and Mary Isabella Armstrong, on 24 February 1898 at Taylor County, West Virginia.3,4 Myrtle S. (Mirtie Belle) Rector and James Franklin Manown lived in 1900 in Philippi, Barbour County, West Virginia.4 Myrtle S. (Mirtie Belle) Rector and Frankie Mignon Manown lived in 1930 in Fairmont, Marion County, West Virginia; in an apartment building.2 Myrtle S. (Mirtie Belle) Rector died on 29 August 1958 in Monterey, California, at age 88. [S208] United States Federal Census, Washington, District of Columbia, Population Schedule: Fairmont, Marion, West Virginia, Emuneration District: 25-13, Supervisor District: 2, Sheet: 11B, Dwelling: 263, Family Number: 280, Date: 1930. [S151] Maurice Myron Manown, Number: 236-20-0462, SSDI: Maurice Myron Manown, Before 1951. [S176] James Manown Jr., Certificate of Death: James Manown, Jr.
RM-1(Manown) Birth Record. 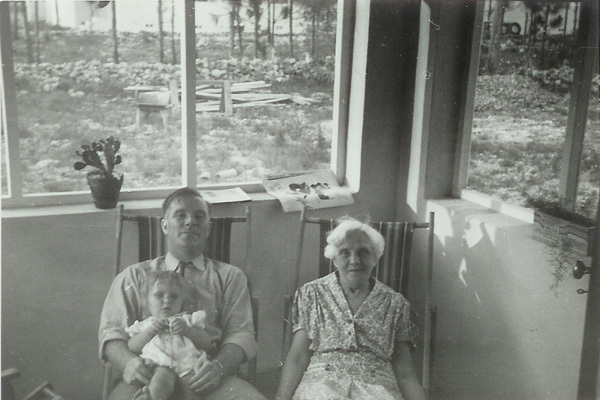 Wilson Edward Manown was born on 10 September 1913 in Philippi, Barbour County, West Virginia. He was the son of James Franklin Manown and Myrtle S. (Mirtie Belle) Rector. 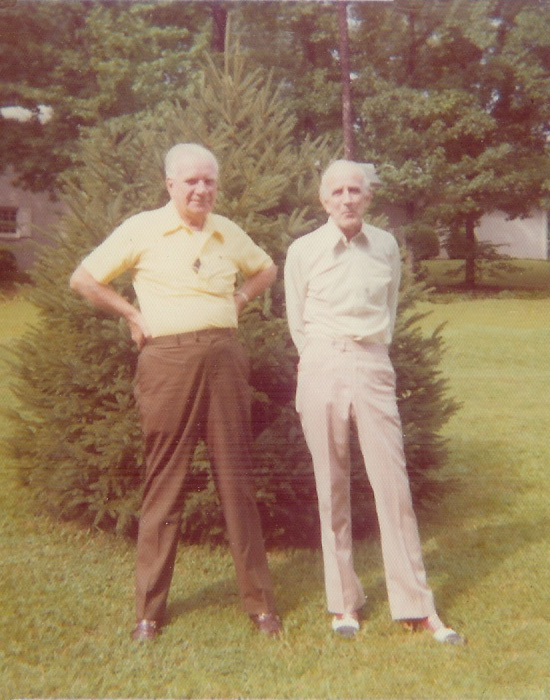 Wilson Edward Manown and Maurice Myron Manown lived in 1930 in Fairmont, Marion County, West Virginia.1 Wilson Edward Manown died circa 1994 in Winston-Salem, Forsyth County, North Carolina. John Wesley Goff was born on 15 February 1879 in Enterprise, Coffee County, Alabama.1,2,3 He was the son of William Ashley Buckhanon Goff and Henrietta Earilla Cox.1 John Wesley Goff married Ola May Engram, daughter of John Robert Engram and Missouri Frances Hildreth, on 14 December 1897 at Enterprise, Coffee County, Alabama. (They were married by J. Hildreth - a cousin of Ola Mae Engram's. )3,4 John Wesley Goff was He was in business with Fletcher Lafayette Goff (his brother). The business was called J.W. and F.L. Goff Livestock. John Wesley was also the owner of Goff Mercantile Company of Enterprise, Alabama. An advertisement for his company read "Goff's Good Goobers Try One Ounce of Raw Peanuts After Each Meal. They are very Fine and delicious Roasted and served hot." [S9] John Wesley Goff, Certificate of Death of John Wesley Goff. [S63] Hunter Bagwell Pictures Achive, Hunter Wayne Bagwell, Indianapolis, Marion County, Indiana. [S60] Chip and Pat Collins, "Goff Genealogy (Chip Collins)." [S1092] Email from Marjorie Helen (Goff) Bagwell dated July 12, 2000 to Hunter Wayne Bagwell; Subject Line: Subject: Re: Family History. [S10] Majorie Helen Goff, Birth Certificate 1911 12 125 - Amended by document number 247260 (Filed 12/6/1911). [S192] Census of Canada, Toronto, Ontario, Canada, Population Schedule: Toronto, Ontario, Emuneration District: 128, Sub District Ward 5, Sub District Number 40, Supervisor District: Ward 5, Sheet: 8, Dwelling: 78, Family Number: 80, Date: 1911. [S7] Letter, Agnes Frezell to Hunter Bagwell, Feburary 2, 1992. [S197] Registration Location: Columbus Ohio, WW II Draft Registration Card: Thomas A. Frizzell, Roll: WWII_2246295. [S2] Hunter Wayne Bagwell, Certificate of Live Birth (Filed 2/12/1964). [S190] Wilfred Leo Sutton Frezell, Ontario, Canada Births, 1869-1909 Registration Number: 004210; Entry: 3210 (August 20 1903). [S199] United States Federal Census, Washington, District of Columbia, Population Schedule: Columbus, Franklin, Ohio, Enumeration District: 25-157, Supervisor District: 17, Sheet: 15A, Dwelling: 256, Family Number: 292, Date: 1930. [S198] Howard F. Frizzell Tombstone (Photograph), Find a Grave, www.findagrave.com. 1 Her Social Security Number was (an unknown value) at 299-10-7616. Marjorie Ann Frizzell was born on 6 February 1908 in Ontario, Canada.2 She was the daughter of Thomas Augustus Frizzle and Rose A. Clark.2 Marjorie Ann Frizzell immigrated on 10 June 1923 to Niagara Falls, New york. Her married name was Dempert. She married John Dempert. Marjorie Ann Frizzell lived in 1940 in Columbus, Ohio. She died on 27 July 1997 in Riverside Methodist Hospital, Columbus, Franklin County, Ohio, at age 89 Marjorie Frizzell Dempert, age 89, of Upper Arlington, died Sunday, July 27, 1997 at Riverside Methodist Hospital. She was a candy maker with Maramor Restaurant retiring following 31 years of service and a cook at The Ohio Union for 10 years. She was the widow of John Dempert who died in 1970. She is survived by her niece, Vivian Frizzell; nephews, Donald (Marguerite) Frizzell, Gerald (Dee) Frizzell and Craig Frizzell; sisters-in-law, Kathryn Frizzell and Gertrude Dempert; other nieces and nephews; dear friend, Peggy Lucas and many close friends. Preceded in death by her parents, Thomas and Rose Frizzell, sisters, Dorothy and Margaret, brothers, Howard, John, Wilfred and Norman Frizzell and nephew, Melvin V. Frizzell. Friends may call 4-8 p.m. Wednesday at SCHOEDINGER NORTHWEST CHAPEL, 1740 Zollinger Rd. Committal service 1:00 p.m. Thursday, July 31, 1997 at Our Mother of Sorrows Chapel (St. Joseph Cemetery), 6440 South High St. Entombment to follow. (There will be no procession to the cemetery.) Special thanks to Dr. Raymond Barker and Jenny Purcell for your kindness and caring. [S1571] Email from Director of Catholic Cemeteries of Columbus, Ohio Richard Finn dated December 2010 to Hunter Wayne Bagwell; Subject Line: Re: Cemetery Information. Letter from Agnes Frezell (2/27/92) only source to date. Beverly Frizzle was the daughter of Thomas Augustus Frizzle and Rose A. Clark. Dempsey Dowling was born on 14 December 1783 in Darlington District, South Carolina.2,3,4 He was the son of John W. Dowling and Nancy Boutwell.4,5 Dempsey Dowling married Martha Stokes, daughter of John Henry Stokes and Nancy Patience Alford, on 22 September 1803 at Virginia. The Southern Star article says the couple were married in South Carolina.4,5 Dempsey sold his 330-acre farm (laying on both sides of Lake Swamp) in preparation to move to Alabama.4 Before moving to Alabama in 1826, Dempsey Dowling had been a member of the Methodist Conference of South Carolina and upon arriving in Alabama one of the first things he and his brothers did was to establish preaching places throughout the country. He was one of the founders of Claybank Church (Dale County, Alabama). A crude log cabin built in 1829, was used for community meetings and church services and open to any minister of God’s word. It was soon organized as a Methodist church since most of the settlers were Methodist. The present structure was built in 1852 and according to an historical marker nearby is the oldest public structure in Dale County. [S128] John Lennell Andrews Jr., Wesley Chapel United Methodist Church, Lydia, SC. [S74] Original survey by E.H.Hayes, "Tombstone Records from Claybank Cemetery." [S88] Rev. Dempsey Dowling Tombstone Photograph; Hunter Wayne Bagwell. 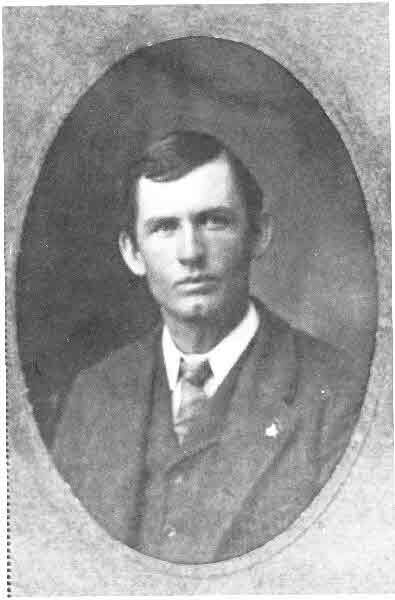 [S116] R.A. Dowling, Dowling Family of the South. [S370] Marjorie Helen (Goff) Bagwell, "Historical Claybank Church." [S129] U.S. General Land Office Records, 1796-1907. [S132] Welsey Dowling Grave Stone, Find a Grave, www.findagrave.com. Nancy Boutwell was born in 1763 in Darlington District, South Carolina, Conflicting information states that she was born in Virginia.1,2 She was the daughter of Burtonhead Boutwell and Elizabeth Commander.3,4 Nancy Boutwell married John W. Dowling, son of Robert Dowling and Sarah Guinn, in 1783 at South Carolina.2,3,4 As of 1783,her married name was Dowling.2 Nancy Boutwell died on 30 March 1849 in Haw Ridge, Dale County, Alabama.1 She was buried at Claybank Cemetery, Ozark, Dale County, Alabama. [S117] DAR Application - Marjorie Helen Goff. [S178] SAR: Robert Dowling for Andrew Dowling Woodham, Defines that he was born in Augusta County, Virginia. Reverend Benjamin J. Hildreth was also known as Benjamin Griswold Hildreth. He was born on 15 March 1802 in Darlington District, South Carolina.1 He was the son of Benjamin Hildreth and Mary Latham. Reverend Benjamin J. Hildreth was christened on 10 April 1803 at Independent Congregational Circular Church, Charleston, Charleston County, South Carolina.2 He was admitted to the Charleston Orphan House on 28 March 1811. Benjamin and Jemima HILDRETH's first three children (William, Harriet and Susan) were born in South Carolina. The 1830 Alabama Census has BENJAMIN HILDRETH in Dale Co. and the 1850, 1860 Alabama Census has BENJAMIN HILDRETH in Coffee Co. BENJAMIN and Jemima HILDRETH's fourth child, Travis Zacheus (born 30 Dec 1830) was their first child to be born in Alabama, being born near Ozark in Dale County. The family came to Southeast Alabama in the late 1820's from Darlington District or Charleston, SC to Dale Co, Alabama. Benjamin was a Methodist Circuit Rider. 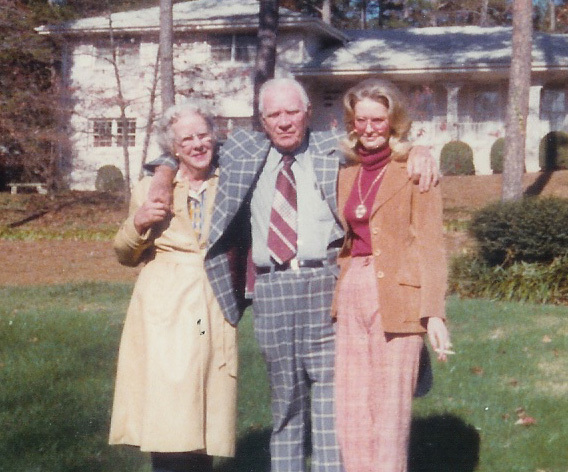 The HILDRETH family brought Jemima's mother, Nancy Boutwell DOWLING, to Southeast Alabama, also. 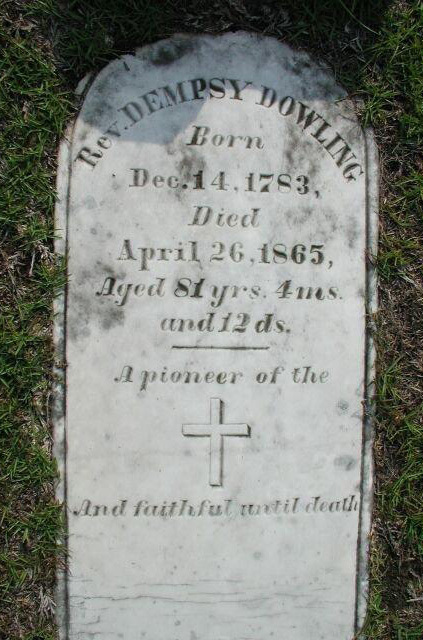 Nancy DOWLING died 30 Mar 1849 at Haw Ridge, Dale Co., and is buried in Zion Methodist Cemetery, Dale Co., Alabama. The HILDRETH and Dowling families were pioneer Methodist families in SouthEast Alabama with BENJAMIN HILDRETH, two of his children, Robert Henry Jackson and Travis Zacheus and Jemima Dowling HILDRETH's brothers Dempsey and Zaccheus Dowling all being Methodist Church circuit riders. Alabama Land records indicate that BENJAMIN purchased 39.83 acres in Section 33, T6-N, R23-E Dale Co. (NW of Ozark between Ebenezer Church and Marley Mill) on 20 September 1839 and 1 July 1841 bought 39.87 acres of Section 4, T5-N, R23-E Dale Co. and 10 December 1841 bought two pieces of a total 80.5 acres of Section 36, T6-N, R22-E, Coffee Co. The BENJAMIN HILDRETH family moved to Butler County, Alabama after the 1860 Alabama Census, where he died in 1868 and is buried in Pioneer Cemetery, Greenville, Alabama. THE HILDRETH FAMILY book (LCCCN 89-80085) page 7 Gives birth date and relationship to his parents (5 generations). Three of the thirteen children of Benjamin and Jemima Hildreth were born in South Carolina. The other ten were born in Dale County, Alabama, where the Hildreth's lived from 1830, except the time they were back in South Carlona for his training for the ministry, until the time they moved to Butler County, Alabama. The Dowlings help build and were charter members of Old Tabernacle Methodist Church in Dale County, Alabama. The Hildreths and Dowlings were [Circuit Riding] ministers, serving many churchs and minstering to the needs of the people of Dale County.2 He married Jemima Anna Dowling, daughter of John W. Dowling and Nancy Boutwell, in 1823 at Darlington District, South Carolina.2,3,1 Reverend Benjamin J. Hildreth and Jemima Anna Dowling lived in 1850.1 Reverend Benjamin J. Hildreth died on 26 November 1868 in Greenville, Butler County, Alabama, at age 66. He was buried at Pioneer Cemetery, Greenville, Butler County, Alabama. [S1447] United States Federal Census, Washington, District of Columbia, Population Schedule: Coffee, Alabama; Page 276A; Dwelling Number: na; Family Number: 164, Date: 1850. [S112] James Wilson Newman, The Hildreth Family. [S1107] United States Federal Census, Washington, District of Columbia, Population Schedule: Centreville, Coffee, Alabama; Enumeration District: 44, Supervisor District: 4; Page: 58, Dwelling: 524, Family Number: 524, Date: 1880. [S1108] United States Federal Census, Washington, District of Columbia, Population Schedule: Enterprise Ward 2, Coffee, Alabama; Emuneration District: 67, Supervisor District: 3, Sheet: 11A, Dwelling: 25, Family Number: 25, Date: 1910. [S1116] United States Federal Census, Washington, District of Columbia, Population Schedule: Enterprise Precinct 17, Coffee, Alabama; Emuneration District: 54, Supervisor District: 3, Sheet: 8B, Dwelling: 145, Family Number: 145, Date: 1900. [S1109] Missouri Frances Engram Grave Stone, Find a Grave, www.findagrave.com. [S5404] Travis Z. Hildreth's Family Bible. Elizabeth Samantha Hayes was born on 24 March 1837 in Oglethorpe County, Georgia.1,2 She was the daughter of Alonzo Farmer Hayes and Mary Unknown. Elizabeth Samantha Hayes married Travis Zaccheus Hildreth, son of Reverend Benjamin J. Hildreth and Jemima Anna Dowling, in 1853 at Coffee County, Coffee County, Alabama.1 As of 1853,her married name was Hildreth. Elizabeth Samantha Hayes died on 21 May 1913 in Enterprise, Coffee County, Alabama, at age 76.1 She was buried at Old Tabernacle Cemetery, New Brockton, Coffee County, Alabama.1 She was buried at Haw Ridge Cemetery, Dale County, Alabama. [S1450] Elizabeth Samantha Hays Hildreth Grave Stone, Find a Grave, www.findagrave.com.